This holiday season, drivers in six New England states will be seeing more police on the road. The increased law enforcement presence is part of an effort to help prevent fatal accidents over the holidays. 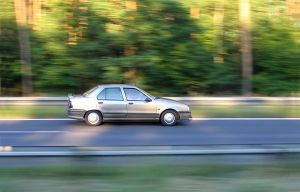 Each year, the number of car accident fatalities rises between Thanksgiving and New Years, and the state police throughout New England hope to prevent this increase for the 2012 season by educating the public and stepping up enforcement. There are three specific behaviors that police hope to curb this holiday season: distracted driving, drunk driving and aggressive driving. Our Boston car accident attorneys also believe that these driving behaviors are extremely dangerous and will be providing tips and information on the risks as part of our holiday safe driving series. Today, we want to remind our readers of the dangers of distracted driving. The dangers of distracted driving have been well established. In fact, in a recent article in The Herald News, summarized some relevant information on distracted driving in Massachusetts and throughout the U.S. According to the Herald News article, the U.S. Department of Transportation Secretary Ray LaHood referred to distracted driving as an epidemic in America. This is a dangerous trend since distracted driving may cause just as many accidents as drunk driving. In 2010 alone, Distraction.gov reported 3,092 deaths as a result of distracted driving. Further, distracted driving may have been a contributing cause of as many as 18 percent of all crashes in the U.S. that caused injuries. Talking on a cell phone or texting. Texting and driving is illegal in Massachusetts, but drivers unfortunately do it anyway. Talking to passengers in the car. Entering addresses or other info into a GPS. Using in-car controls like controlling the heat system or the radio or MP3 player. Grooming, including brushing your hair or putting on lipstick. During the holiday season, people may be even more likely to engage in these dangerous behaviors. You may get focused on conversations in the car with family members you haven’t seen in a while, or you may be putting makeup on before arriving at a holiday party, for example, and a fatal crash could occur in an instant. Never text when driving, and if you are in the car with others, ask them not to text as well. If you have children who drive, make clear that texting and driving is absolutely forbidden. The risk of a crash when texting is 23 times the risk when driving with no distractions. Turn off your cell phone or turn it to silent when driving so you aren’t tempted to pick up calls. If you must use your cell phone, use a hands free device- but remember that driving while on a phone can reduce brain activity associated with driving by as much as 37%, even if using a hands-free device. Enter directions into your GPS before you start driving. Wait to adjust the radio and other in-car controls until you are at a red light. The bottom line is, you should focus only on driving when you are driving. If a driver is distracted, serious injury can result not only to the driver but to others on the roads as well. Finally, remember that a distracted driver can also be held legally liable for any injury he causes and the risk of this liability is yet another important reason why you should never drive distracted. If you or a loved one has been injured or killed in an accident, contact Jeffrey S. Glassman for a free and confidential consultation to discuss your rights. Call 1-877-617-5333.